On Wednesday at approximately 11:45 PM, Nevin Davis, 28, of Estate Hope, St Thomas, USVI was arrested and charged with possession of unlicensed firearm in the vicinity of Long Bay. One day later at approximately 4:30 PM, Shakieme Freeman, 24, of New Tutu, St Thomas, USVI was arrested and charged with possession of unlicensed firearm in the vicinity of Thomasville, according to Ms Freeman. 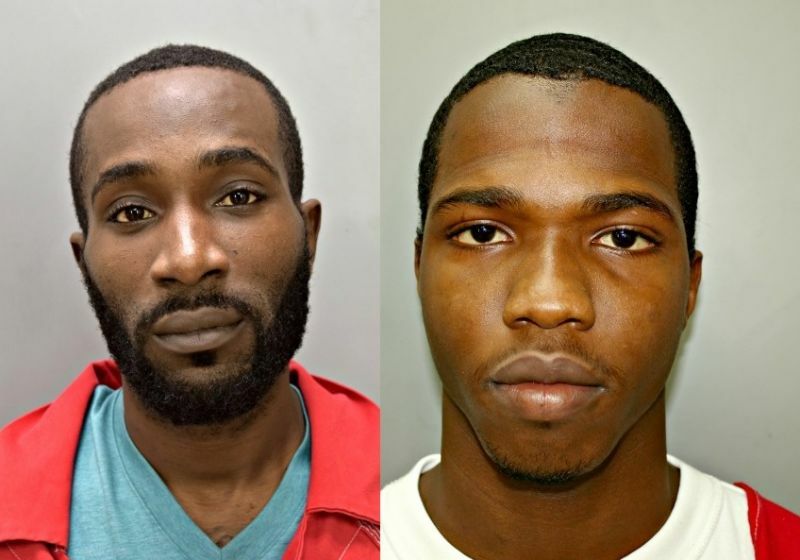 Unable to make bail of $25,000 each, Mr Freeman and Mr Davis were remanded to the Bureau of Corrections pending their advise-of-rights hearings. St Thomas Police Chief Jason Marsh said the stepped-up initiatives were prompted by the recent wave of violence affecting St Thomas. Police are asking anyone with information that may lead to the arrest of suspects to call the VIPD at (340) 774-2211, or Criminal Investigation Bureau at (340)714-9807. You can also contact Crime Stoppers VI at 1(800)222-8477 — where you tip may lead to a payday, or dial 911.
why the brothers always in trouble with guns?